Apple is reportedly working a completely new style of device that could very well revolutionize mobile computing yet again. This time the design is more of an accessory than just a gadget though because it will reportedly be some sort of wearable device design. 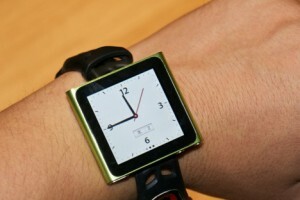 At this point the exact details aren’t known but rumor has it that Apple may be developing a wristwatch style iPod device. The idea is not new, but if Apple manages to properly implement it this could be the next big seller for Apple. A watch style iPod would likely be incredibly popular and at this point there is no reason to expect anything but great things from Apple. In the coming year we will more than likely receive some sort of official confirmation from Apple but for now it seems that everybody is pretty confident that Apple is in fact developing a wearable device of some sort.